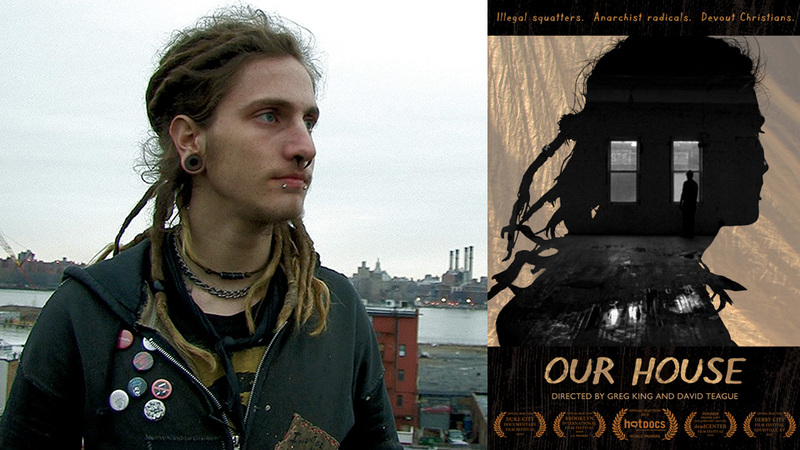 Greg King is an award-winning filmmaker, artist and musician based out of Los Angeles, CA. His directing work spans documentary films, narrative shorts, experimental art films, music videos, and non-profit promos. His films have played such festivals as Hot Docs, Edinburgh, Ann Arbor, Rooftop, deadCenter, and the Brooklyn Film Festival, and his visual art has been exhibited across the country in numerous galleries, artist-run spaces, and museums. He was the recipient of an NEA/Regional Artist Fellowship, an Elizabeth Greenshields Foundation Award, a Harvey Fellowship, and a Jerome Foundation Project Grant, among other grants and awards. King was a member of the indie-classical ensemble rachel's, and toured with the band from 1995 to 2006 across the US, Canada, and Europe. Left: King filming for Pilgrim Africa in 2009, in a remote village in Northeastern Uganda. As a director, King recently completed the short film Lessons (starring David Thor Katrinarson and Trevor Thomas Olwig), which received support from New Filmmakers LA. He co-directed the feature documentary Our House with David Teague, which premiered at Hot Docs 2010, and garnered awards on its festival run. His music video "Glass Sun" (with HOTT MT), won the Grand Prize at the New Filmmakers LA "On Location" festival in 2013, and his dance film “chloes” (co-created with choreographer Lea Fulton), premiered at the 2010 Dance on Camera Film Festival at the Lincoln Center in NYC. He created the experimental film cycle Rotating Mirror in collaboration with the band rachel's, which received a Jerome Foundation Media Arts Grant. As a freelance film editor, King's work has played Sundance, SXSW, Tribeca, SFIFF, Sarasota, AFI Docs, Seattle, and numerous other film festivals, and been broadcast on HBO, Netflix, and Hulu. He works closely with Oscar-nominated filmmaker Josh Fox, most recently on Fox's segments (Part 1, and Coda) on the documentary AWAKE: A Dream from Standing Rock, which premiered at the 2017 Tribeca Film Festival. He was a lead editor on Fox's film How To Let Go Of The World And Love All The Things Climate Can't Change, which premiered at Sundance 2016 and has since won numerous awards, including Best Doc Editing at the 2016 United Nations Association Film Festival. Greg was the lead editor on Laura Gabbert's feature documentary City of Gold, which premiered at Sundance 2015, enjoyed a long festival and theatrical run, and can be seen on HULU. King's narrative feature credits as an editor include LORE (dir. Christian Larsen and Brock Manwill), and A Little Game (dir. Evan Oppenheimer), which stars F. Murray Abraham and Ralph Macchio. Other film credits include the short documentary "We Are People Too: Stories From The Jungle" (dir. Stephanie Meurer), which won the Best Documentary award at the Emerging Filmmaker Showcase at the AmPav at Cannes 2017; the documentary "Feynman: The Challenger" for the Science Channel; the short doc "The Hama Hama Way" by Treva Wurmfeld; and the short films "Compline" and "Sext" from the Praying the Hours project, directed by Lauralee Farrer. His non-profit work has taken him to war-torn northeastern Uganda with the NGO Pilgrim Africa, and to Capetown South Africa where he taught cinematography and editing to African journalists with The Media Project.